‘Why won't my iPhone update apps’ is one of the searches which iPhone users make over Google. It means that the issue is on high and the users want to get out of the problem. The best part of this problem is that there are several processes which can be applied to get the work done. These processes are scattered all over the internet and therefore can be found with ease. To get the work done with perfection below are the 10 processes which can be applied. 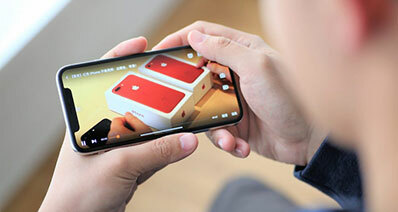 There is a possibility that the network is not connected and the iPhone is not getting the required bandwidth to update the apps. To accomplish this it is advised to turn on Wi-Fi connection if it is turned off. Follow the steps as under. Press the settings on the main interface of the iPhone. 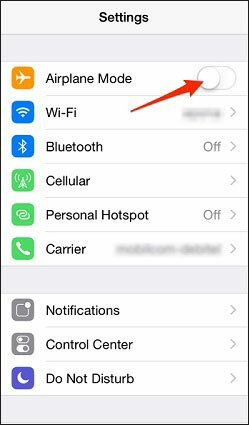 Press Wi-Fi if your iPhone won't update apps to proceed forward. 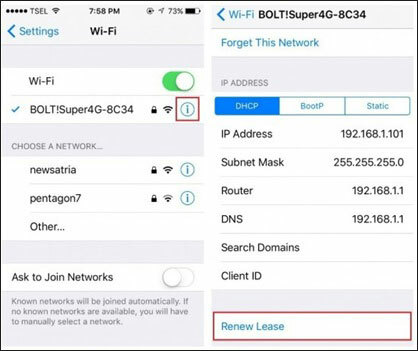 Toggle the Wi-Fi on to update the apps on iPhone with ease. If you are still facing the issue it is advised to reset the network settings. Head over to Settings > General > Reset. 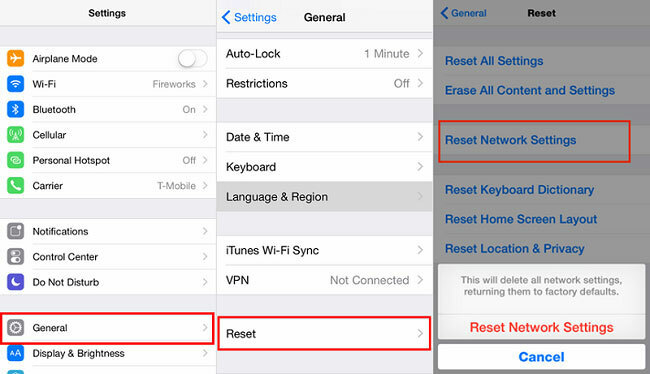 Tap Reset Network settings. Enter passcode if required. Reset the network settings to get the work done. Though it is not recommended to download or update apps using cellular data. However, if you are proceeding to update the apps using the same method then your cellular data might be presenting the issue. If you are thinking why won't my iPhone update apps then you should follow the steps as under. Head over to Settings > iTunes & App Store to start the process. 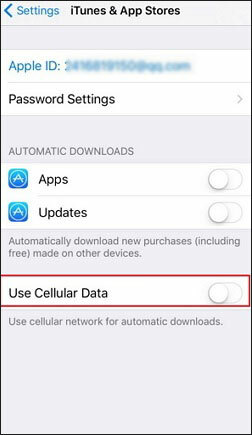 If the option of Use Cellular Data is not toggled on then it is advised to turn it on so that the issue is never faced at all. If you are wondering why won't my iPhone update apps then Airplane mode might be the case. In such case, you won’t be able to download the app updates at all. Follow the steps as under to ensure that your issue is resolved. Tap Settings on the main interface of your iPhone. See if the Airplane mode is turned on. 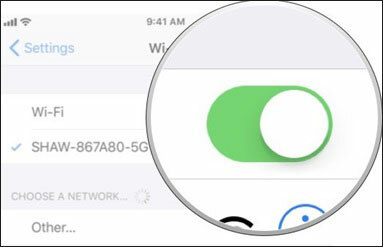 Toggle it off and you will see that your Wi-Fi or Cellular data will be connected. It will resolve your issue i.e. iPhone won't update apps. This is another issue which will never let your iPhone update the apps a required. 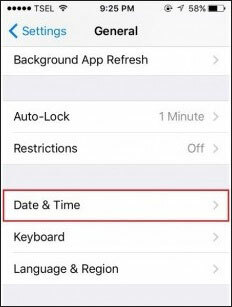 It is therefore advised to check the date and time of your iPhone to resolve the problem in full. Follow the steps as under. Tap Settings > General to start the process. Tap Date and Time to proceed with the process. 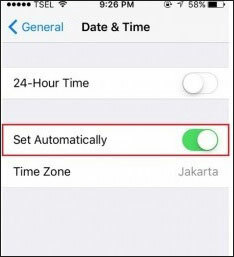 Toggle the option of Set Automatically ON to resolve the issue of iPhone won't update apps. If your iPhone software is not updated then you are sure to face the issue regarding app update as well. It is advised to follow the steps which are mentioned as below to resolve the issue. Tap settings on your iPhone to start the process. Press the General tab on the next screen which appears. To get the perfect answer to the question i.e. why won't my iPhone update apps tap to install the update and get the problem resolved. 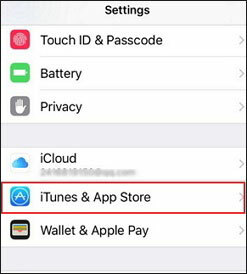 It means that you need to sign in and out of your Apple account to ensure that your iPhone apps are updated as per schedule. This method is easy to follow so it is advised that before you move forward with any other process just give this one a shot and you will get the problem fixed. In case this fixes the issue then obviously there is no need for any other process. You will also get the answer to the question i.e. why won't my iPhone update apps. The process which should be followed is mentioned as under. Tap settings and then head over to iTunes & App Store. Click your username to reveal the pop-up menu. Click sign out. Press OK on the new window that pops up. 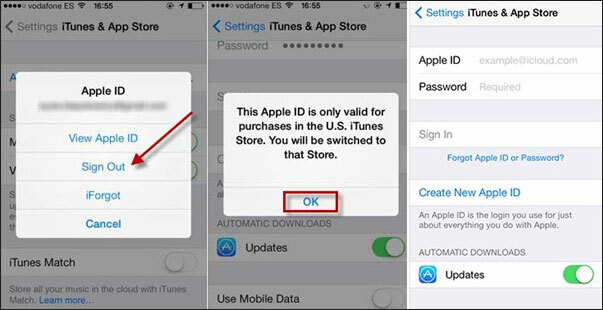 Log in using your Apple ID and password to sign in your account and get the problem of iPhone won't update apps resolved. If you renew your lease of the network it can get the problem resolved with ease. The iPhone apps will get updated and if you are facing any other issues regarding network they will be resolved completely. 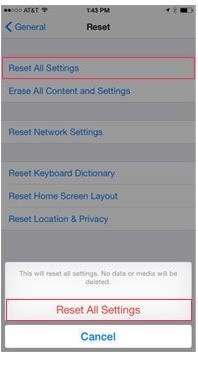 If your iPhone won't update apps then it is advised to proceed with the steps as below to get the problem resolved. 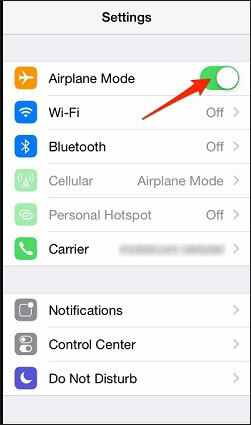 Within the settings of your iPhone click Wi-Fi to start the process. The Wi-Fi connection to which you are connected has “i” symbol against it. Tap that. 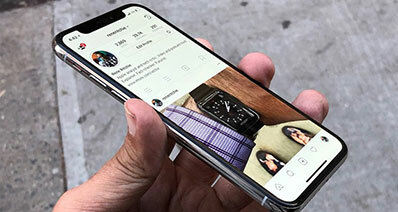 Click Renew Lease at the bottom of the page and this will finish the process and will also resolve your apps related problems you encounter on your iPhone. It should always be applied as a last resort. It is because your iPhone’s data will get deleted if it has not been back up. Secondly, you got to set up iPhone from scratch. If you cannot update apps on iPhone then this process will definitely get your issue resolved completely. Tap settings and head over to General tab. Press the Reset tab which is at the end of the page. Press the option Reset All Settings. Enter your passcode if required and you are all set. 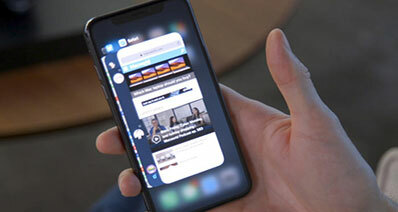 Your issue of unable to update apps on iPhone will be resolved completely. It is one of the issues which most of the users are unaware of. All new models of iPhone come with parental control feature. It means that the children cannot install the application if the feature is activated. This saves the children from graphically intense material and therefore it is considered important for the parents. This restriction will also not allow the apps to get an update. If you are unable to update apps on iPhone follow the process as under. 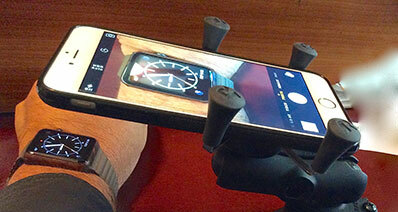 Tap the settings of your iPhone to kick off the process. Press General tab and then click Restrictions. Under the feature, you will see Installing Apps. If the button is toggled on then turn it off so that your issue regarding the app update is resolved completely. Once again this is an option which should be checked beforehand. It will let you know that why you cannot update apps on iPhone. Most of the users complain about the issue but they never check the space. Before proceeding with any other process it is advised to check for space. 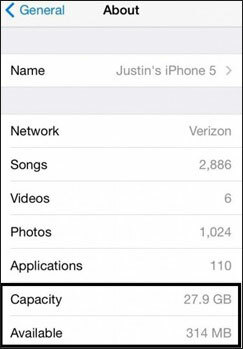 You might find your iPhone full of residual data which is not letting you update the apps. The process which you should apply in this regard is mentioned as follows. Tap Settings tab on the main interface of your iPhone. If you cannot update apps on iPhone then tap on the General tab and then about section. At the bottom of the page, you will find the space that is remaining and what you have consumed. If you are out of space release some and get the issue resolved.